paddles were designed to improve your game. 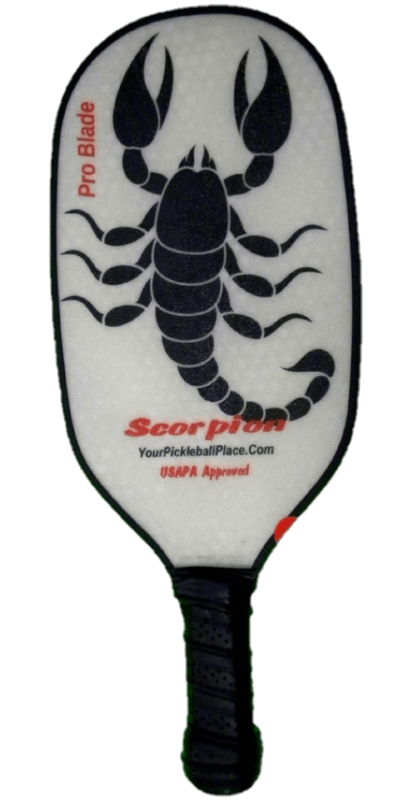 Eye catching graphics and colors (Purple, Yellow, Red, Blue) that are imbedded in the laminate faces for durability are now available for the Scorpion series! 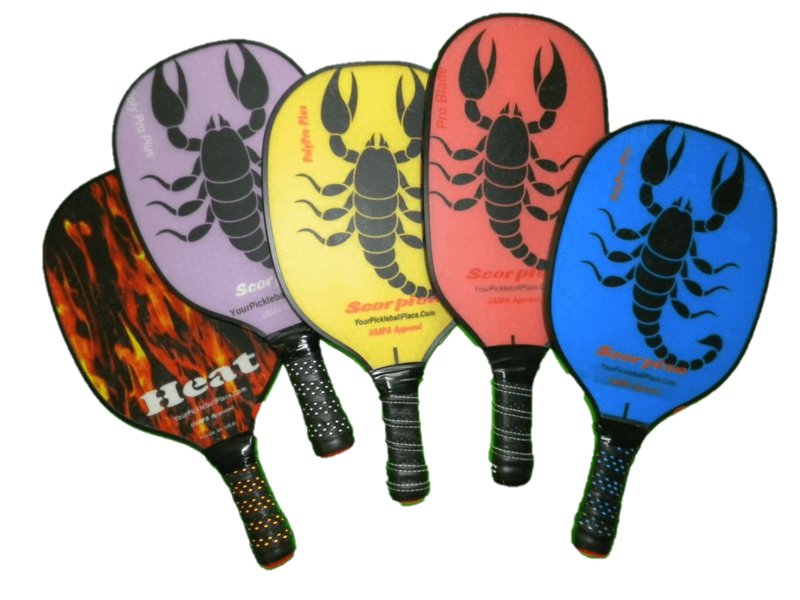 Customized paddles, graphics & specifications are available for business, gifts etc. An aggressive paddle for offense and defense, great for early players as well as the more seasoned people. Designed to give a better "reach" for the vertically challenged players, and also gives extra speed to those power shots. Eye catching graphics that are imbedded in the laminate faces for durability. Complete with a polymer honeycomb core. 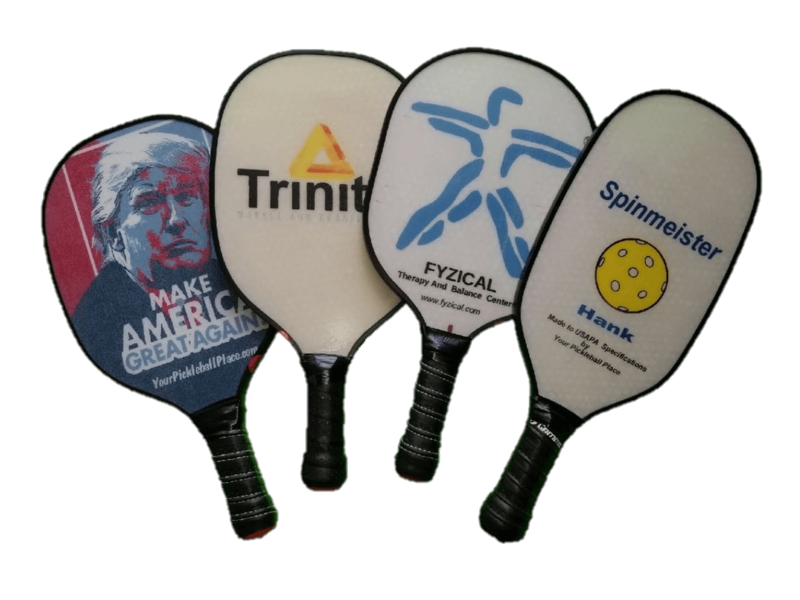 If you are an entrepreneurial Pickleball player, and want to earn some cash, we may have opportunities for you to earn money through sales of our paddles. Fill out the form below.